​Why wouldn’t wine be vegan? What Popular/ Mainstream Companies offer Vegan Wine? What Companies Offer All Vegan Wine? How Do I find out if My Favorite Wine is Vegan? 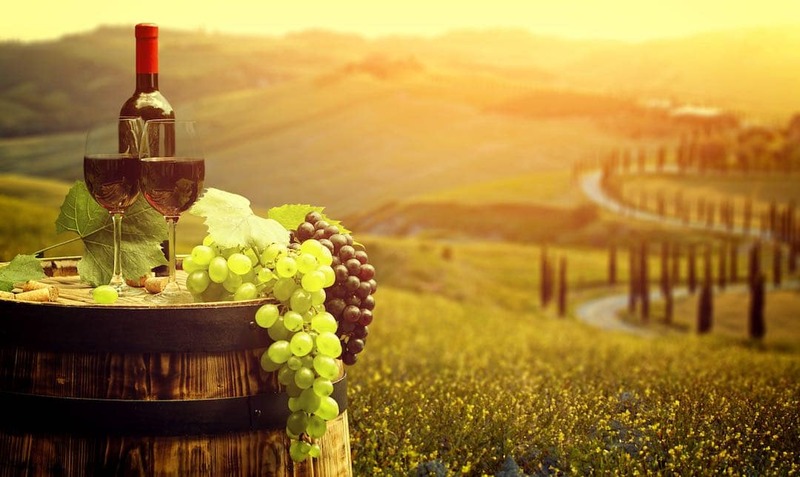 Wine seems to be ubiquitous with relaxation, good health, and luxury. What wine isn’t commonly associated with is animal cruelty although many wines use animal products in their production. 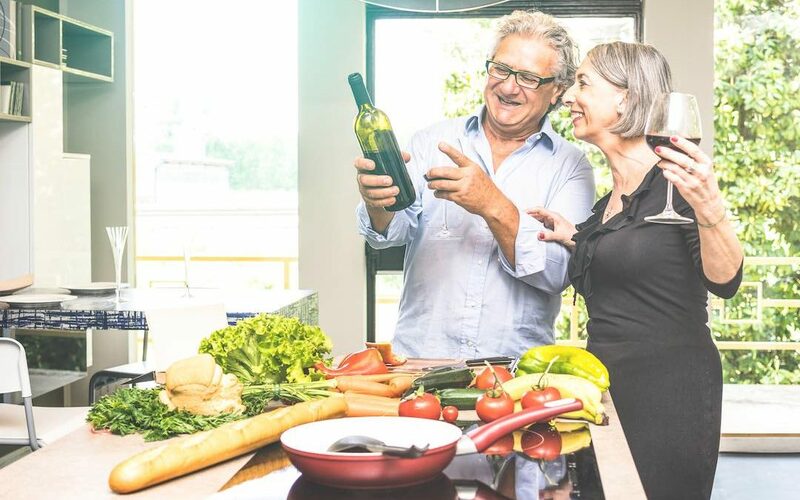 While wine may appear vegan upon first glance, this beverage has a long history involving the use of animal products to help clarify and flavor. The unfortunate reality is that this isn’t commonly known. That's because the animal products used to create and produce the end product don’t end up on an ingredients list. We’ve saved you from hours of endless googling and phone calls by creating the ultimate guide to vegan wine. We’ve compiled a list of ingredients and how they’re used, mainstream companies that offer vegan wine selections, a list of vegan wine companies and resources to help you navigate what wines are vegan when you’re out and about. The truth is that no matter how unnecessary animal products are in wine production these days, vegan wine DOES exist. 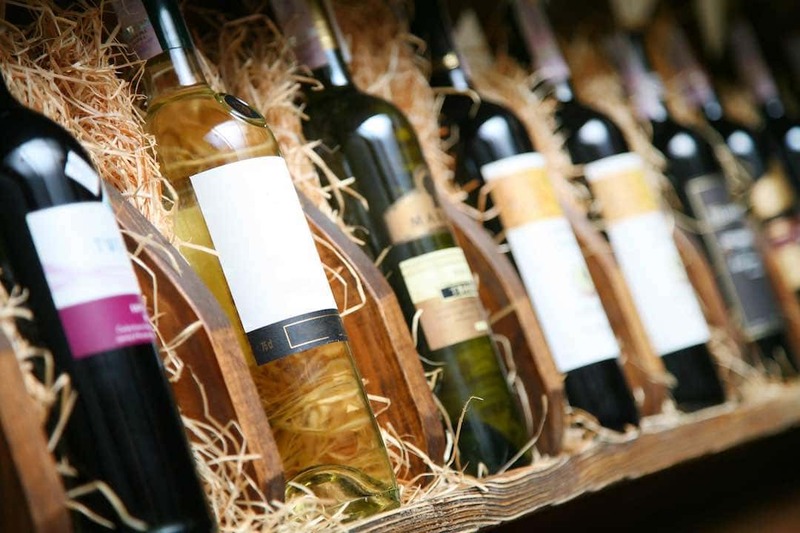 And there are plenty of delicious options and varieties for every kind of wine lover. Wine has a long history with mankind as a beverage that has been loved, written about, considered holy, vilified, abused and even outlawed. Unfortunately wine also has a history as a beverage that has used animal products extensively. Wine, just as beer, has a history with animal products such as fish bladders, gelatin, egg whites, and even milk. Winemakers use these products to help clarify the wine, bring out different flavors or just make them taste smoother. As this isn’t well known to most people, it takes thorough research and understanding of what may be in your wine and what it does to help figure out what companies offer truly vegan wine. Thanks to the internet with websites that compile vegan wine lists as well as companies exchanging information with wine lovers, we’re living in an age where vegan wine is easy to find once you seek it out. This list is to the best of our knowledge, pretty thorough in describing the animal products still in use in wine making and why they are used. All of these ingredients either are not necessary, as wines do not need to be clear for consumption, or they have non animal derived counterparts that can be purchased easily, even with just a google search. While companies may have been using these products for a long time, they're not necessary to produce wine at all. Made from the swim bladders of fish, typically sturgeon, wine companies use this product for fining. It’s most commonly used in white wine to create a clear wine. It also brings out the fruit character of the wine. Made from boiling animals skin, cartilage, bones, horns and hooves, this is another product winemakers use as a fining agent. Gelatin works particularly quickly to help the particulates settle and clear the wine. So winemakers who want to expedite the process often like and often use this product. Made by bees after gathering nectar from flowers and plants, honey is added to wine for a number of reasons. Honey can replace sugar or agave nectar prior to fermentation to increase the alcohol content. It also imparts different notes to the overall wine flavor without adding sweetness. If added after fermentation, honey imparts flavor and sweetness. Made from egg whites, this is used in wine to remove harsh and astringent flavors and make the wine smoother. Made from milk, in wine typically casein is used in particular wines to remove bitter and more harsh flavors. It also helps prevent some oxidation, preventing the color from dramatically browning. Blossom Hill - The following varieties of this widely available brand are vegan: Chenin blanc (South Africa, 2007), cabernet Sauvignon (Chile, 2007), Blossom Hill Signature Blend White (U.S., 2006), and shiraz (South Africa, 2007). Sutter Home include Riesling, zinfandel, cabernet Sauvignon, Gewürztraminer, and Chenin blanc. The following companies are exceptional and are cutting edge in their making of only vegan wines. If you cannot find these wines locally, we’ve included a few websites that have vegan wine selections or only vegan wine to make your shopping experience easier. Their winemaker is a vegetarian. As a company, they promise that they use zero animal products in any of their wines. They vow to continue to stay committed to keeping their wines vegan. Check out more about this biodynamic and organic company here. Made from milk, in wine typically casein is used in particular wines to remove bitter and more harsh flavors and help prevent some oxidation, preventing the color from dramatically browning. Only one wine comprises this line, however it is completely vegan and made by Mya, known for her pop songs. Mya is incredibly committed to a vegan lifestyle. She practices this by helping others do plant based challenges and transition to vegan. This wine is pricey and can’t be delivered to every state. But it is worth the investment if you are able to try it. Organic Wine Exchange offers a large selection of affordably priced organic and eco friendly wines and has a vegan section to shop in. If you’re in the UK this is the ultimate online vegan wine shopping experience. They have the wines sorted by variety, whether they’re organic and by price so you can find a wine you’ll enjoy within your budget. Organic Wine Company offers a great selection of all organic and vegan wines that are affordably priced in a wide variety of flavors. This is the first vegan wine club. The club offers a variety of memberships, some even including cheese, Miyoko’s to be exact. They also offer a variety of individual specialty wines to purchase, making this a vegan wine lover’s dream. Finding out if a wine is vegan is really as simple as going online and checking! Most wines are available on http://www.barnivore.com. Barnivore has an extensive list of popular and non popular wineries and companies to help you decipher if your wine is vegan or not. There are also a few apps you can download to your phone to make vegan wine spotting easier while out and about. With veganism on the rise, more and more companies are becoming aware of the demand for environmentally friendly and cruelty free products. Quite a few companies have switched their products to be vegan friendly or have created specialty vegan products due to demand. It simply requires us to use our voice when we want to see change. Consider writing to companies you’d like to see vegan, explaining the environmental impact and how veganism is on the rise. When companies hear enough people demanding change, they are more inclined to act on it. The biggest impact we all can make is where and how we choose to spend our money. Buying from vegan companies or supporting vegan wines shows in real, tangible amounts just how interested consumers are in vegan products. It encourages companies to continue making those products and to invest in creating more products like them. In the meantime, companies like BevVeg work hard to differentiate truly vegan alcohol and can certify companies as vegan. The best part about BevVeg is that it’s a law firm. This means they are working on bringing more transparency to the beverage industry because they understand the law protects companies from disclosing the use of animal products in their processing. They work hard to ensure the companies they give their seal to are compliant in being truly vegan and hope to get their seal more widespread to help spread awareness as well as help fellow vegans easily identify truly vegan wine. Companies like BevVeg along with consumer knowledge and petitions are helping to change the landscape of winemaking. While wine still has a long way to go before we can easily purchase any and know it’s cruelty free, it’s come a long way and education is slowly but surely happening. We must continue to vote for compassion with our dollars. By doing so, we let companies know that animals are not for exploitation, and wine tastes far better without it.